Today was another bright sunny day in Oxford. We haven’t found a good place to do our fast walking at the camp yet. Maybe after tomorrow when we tour the camp. This morning we walked down the county road past our RV park. We never saw a car. Don’t like walking on the road but early on Sunday morning it was okay. We will continue to try to find a better location. 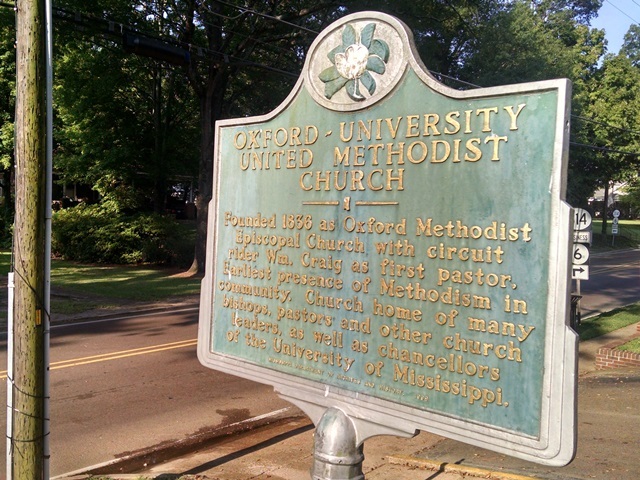 The team went to the modern (contemporary) service at Oxford-University UMC this morning. 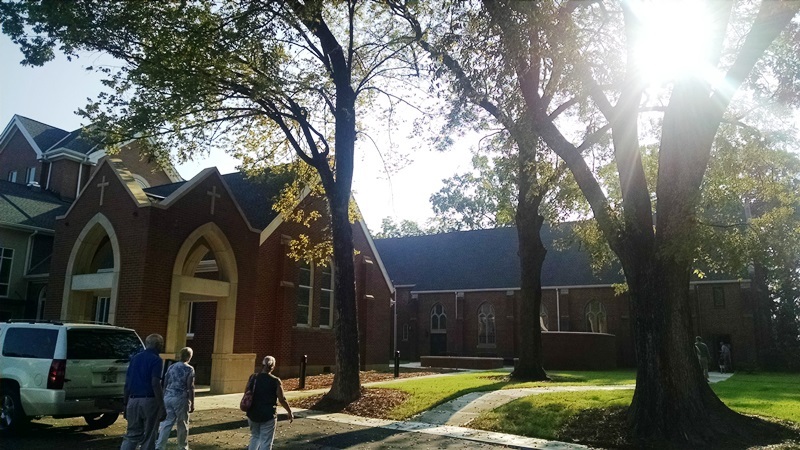 The church is located next to the campus of University of Mississippi. 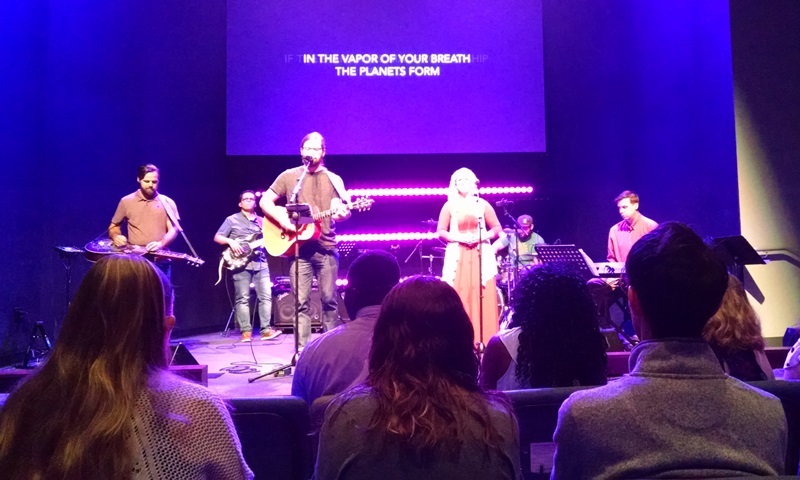 It was a very good service – good music and message. Would definitely return to this church. On the way home we stopped to pick up a few groceries. We had a light lunch and then washed all the bugs and butterflies off the front of FRED. We seemed to have killed a lot yesterday. We don’t feel like we are really set up until we get the front clean. Our first official team meeting was at 5:00 tonight and began with a nice supper provided by Carol and Dave our team leaders. It was very good. Thanks so much Dave and Carol. 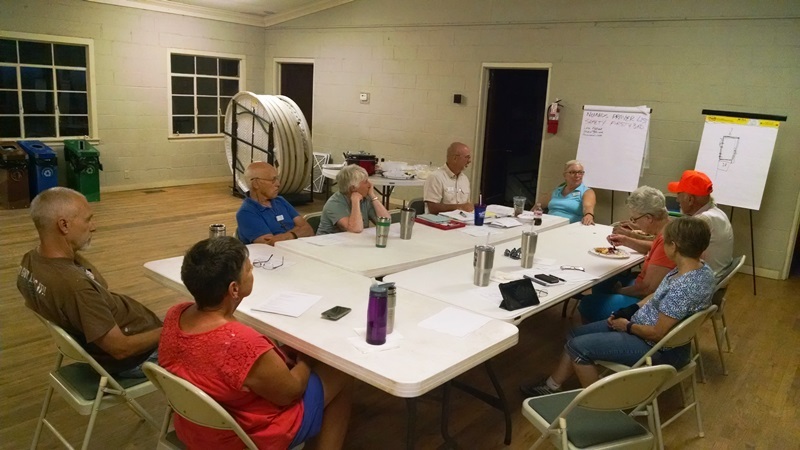 Rich the Executive Director of Camp Lake Stephens met with us tonight to review our work plan. It will definitely be a busy three weeks with lots of work to be done. We will start tomorrow converting a portion of the barn into a tool storage area and working on one of the cabins. This is going to be another good project. Please pray for the team’s safety as we begin work tomorrow. Hope you all had a great weekend.